Out of the box, the GT784WN Wireless N ADSL Modem Router gives you the flexibility and power you need to connect all of your wireless devices. 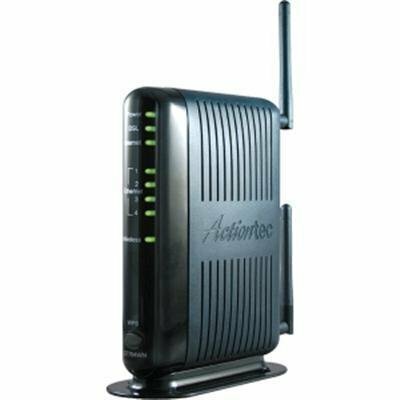 With the latest 802.11n technology, the Actiontec GT784WN is a full featured wireless ADSL router modem that integrates a DSL modem, router, and wireless networking in one box. Simply connect this intelligent DSL modem to your DSL connection, then plug in your computers for an instant home network. The auto-configure tool does all the rest. So, share your broadband connection with anyone in your digital home and enjoy the ease, speed, and reliability of this powerful solution. If you have any questions about this product by Actiontec, contact us by completing and submitting the form below. If you are looking for a specif part number, please include it with your message.